You are currently browsing the tag archive for the ‘cool’ tag. shazam! quick – what does that bring to mind? for me (unfortunately) it immediately reminds me of an econometrics class in undergrad – we used a program called shazam to test regression models. i have to say that it was my least favorite piece of software ever. many years later, shazam is now the name of a cool web app that brings an easy solution for one of my problems. in our travels we have often been exposed to music popular in another culture. the problem is that usually it is playing on a radio or in someone’s car as they drive by, or as part of a random compilation being played in a store where the employees are not familiar with the artist. in the past, i used to just try to remember the tune as best i could, and then listen for it another time when i might hear the artist/song name. over the past few years, i’ve developed a sneakier google-powered technique, where i listen carefully for a key set of lyrics and write them down (or save them on my phone as a draft SMS). then when i find an internet access point i can google those lyrics and 99% of the time i find my song, my artist and a new playlist for my musical enjoyment. now some of you will say, why not just use last.fm, or pandora, etc. unfortunately pandora stopped working about a year ago outside the united states due to drm issues, or i probably would rely on it more. anyway it does not solve the immediate problem of identifying the song i am hearing. shazam seems to solve my problems. you hear a song you like, you dial in, you hold the phone to the music, and shazam! your song is id’d. cool. it’s available by registering your mobile phone in select countries and for select carriers (verizon and at&t in the usa, 3, o2 & virgin in the uk) or by downloading the app to your iphone. maybe this only applies to me: Online Alarm Clock. warning – the site is in flash so will not work (as yet) on your un-modded iphone. since paper tech is yesterday’s news and i’m all about being green, i’ve tried various means of organizing myself with technology. sadly, the most effective technology i have going for me today uses recycled scraps of paper and something called a pen, which makes amazing notations on the scraps that provide simple reminders of to-do’s for the day. i can fold these scraps and leave them in my pockets so that kai can play with the fun paper balls that come out of the laundry. 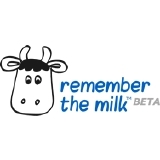 i’ve recently started using remember the milk, a web-based task manager that helps you keep track of things you need to do. i like the flexibility in the way your info is presented – you can use the web interface to see lists, cloud tags, or a filtered table. you can access it from your phone or almost any social networking app. and you can add new tasks by web, SMS, or email. it embeds location tracking and lets you share your tasks with others. it’s also got a handy widget for your dashboard (or PC). and apparently it is quite popular in japan. give it a try, and let me know what you think. note that it is still in beta.